The classic schoolhouse light fixture has been an American icon for almost 90 years. The Academy Collection is today's interpretation of these utilitarian lights which have enjoyed resurgence in popularity given their clean, versatile design. Today, top designers regularly select this ubiquitous look for applications in almost every room of the house. 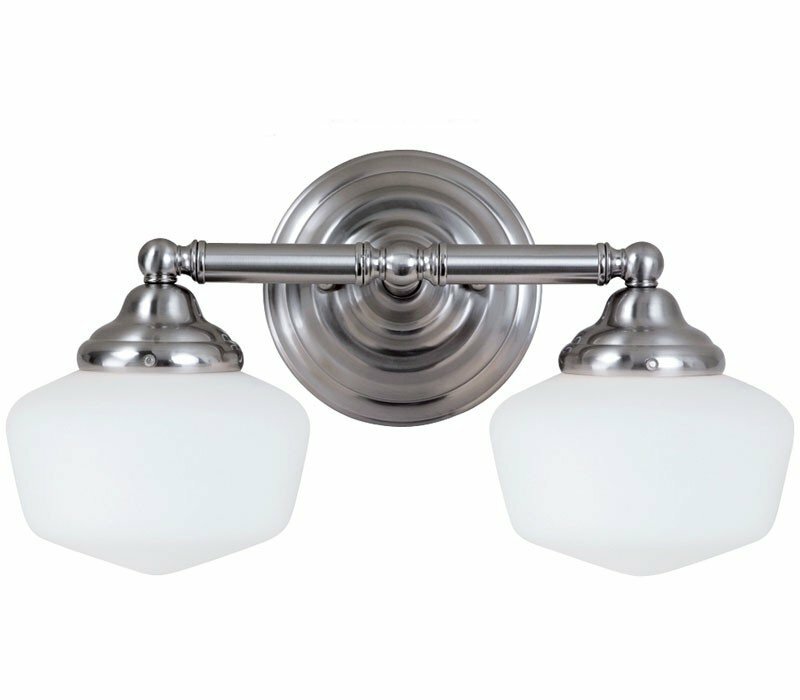 The Sea Gull Lighting 44437BLE-962 Academy collection Sconce Wall Lighting in Brushed Nickel uses Fluorescent light output and brings Transitional style. This item is 10"H x 17.25"W x 17.25"L. The wattage is 26. The Sea Gull Lighting 44437BLE-962 requires 2 bulbs (included). Additional Information: Shade-Satin White Glass.